This article is about the 1939 song. For other uses, see Over the Rainbow (disambiguation). 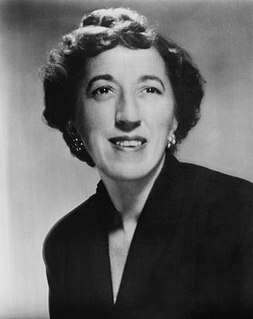 "Over the Rainbow" is a ballad composed by Harold Arlen with lyrics by Yip Harburg. It was written for the movie The Wizard of Oz and was sung by actress Judy Garland  in her starring role as Dorothy Gale. It won the Academy Award for Best Original Song and became Garland's signature song. Harold Arlen was an American composer of popular music who composed over 500 songs, a number of which have become known worldwide. In addition to composing the songs for the 1939 film The Wizard of Oz, including the classic "Over the Rainbow", Arlen is a highly regarded contributor to the Great American Songbook. "Over the Rainbow" was voted the 20th century's No. 1 song by the Recording Industry Association of America (RIAA) and the National Endowment for the Arts (NEA). Edgar Yipsel "Yip" Harburg was an American popular song lyricist and librettist who worked with many well-known composers. He wrote the lyrics to the standards "Brother, Can You Spare a Dime? ", "April in Paris", and "It's Only a Paper Moon", as well as all of the songs in The Wizard of Oz, including "Over the Rainbow". He was known for the social commentary of his lyrics, as well as his liberal sensibilities. He championed racial and gender equality and union politics. He also was an ardent critic of religion. About five minutes into the film, Dorothy sings the song after failing to get Aunt Em, Uncle Henry, and the farm hands to listen to her story of an unpleasant incident involving her dog, Toto, and the town spinster, Miss Gulch (Margaret Hamilton). Aunt Em tells her to "find yourself a place where you won't get into any trouble". This prompts her to walk off by herself, musing to Toto, "Some place where there isn't any trouble. Do you suppose there is such a place, Toto? There must be. It's not a place you can get to by a boat, or a train. It's far, far away. Behind the moon, beyond the rain...", at which point she begins singing. Aunt Em is a fictional character from the Oz books. She is the aunt of Dorothy Gale and wife of Uncle Henry, and lives together with them on a farm in Kansas. In The Wonderful Wizard of Oz, she is described as having been a "young, pretty wife" when she arrived at Uncle Henry's farm, but having been "grayed" by her life there, implying that she appears older than her years. Baum tells us that when Dorothy first came to live with her, Em would "scream and press her hand upon her heart" when startled by Dorothy's laughter, and she appears emotionally distant to her at the beginning of the story. However, after Dorothy is restored to her at the end of the book, we see her true nature: she cries out, "My darling child!" and covers her with kisses. Uncle Henry is a fictional character from The Oz Books by L. Frank Baum. He is the uncle of Dorothy Gale and husband of Aunt Em, and lived with them on a farm in Kansas. Toto is a fictional dog in L. Frank Baum's Oz series of children's books, and works derived from them. His name is pronounced with a long "O", a homophone of "toe toe". He was originally a small terrier drawn by W. W. Denslow for the first edition of The Wonderful Wizard of Oz (1900). He reappears in numerous adaptations, such as The Wizard of Oz (1939), The Wiz (1978) and Return to Oz (1985). The breed is cairn terrier. King Wallis Vidor was an American film director, film producer, and screenwriter whose career spanned nearly seven decades. In 1979, he was awarded an Honorary Academy Award for his "incomparable achievements as a cinematic creator and innovator." He was nominated five times for a Best Director Oscar, and won eight international film awards during his career. Vidor's best known films include The Big Parade (1925), The Crowd (1928), Stella Dallas (1937), and Duel in the Sun (1946). Contrary to common belief, he is not related to fellow director Charles Vidor. Mervyn LeRoy was an American film director, film producer, author, and occasional actor. Margaret Brainard Hamilton was an American film character actress best known for her portrayal of Miss Almira Gulch and the Wicked Witch of the West in Metro-Goldwyn-Mayer's classic film The Wizard of Oz (1939). On October 7, 1938, Judy Garland recorded the song on the MGM soundstage with an arrangement by Murray Cutter. In September 1939, a studio recording of the song, not from the film soundtrack, was recorded and released as a single for Decca. In March 1940, that same recording was included on a Decca 78 four-record studio cast album entitled The Wizard of Oz. Although this isn't the version that appeared in the film, Decca continued to release the "cast album" into the 1960s after it was reissued on disc, a 33​1⁄3-rpm album. Murray Cutter was a versatile Hollywood orchestrator, working mainly for film composer Max Steiner, with over 150 credits spanning the mid-thirties to early 1960s. Nevertheless, he remains relatively unknown except for the much-loved original arrangement of Judy Garland's Over the Rainbow, which continues to be sampled by modern filmmakers. Similar to fellow arranger Alexander Courage, Cutter's name has tended to be overshadowed by the popularity of the composers with whom he was most associated. The term studio recording means any recording made in a studio, as opposed to a live recording, which is usually made in a concert venue or a theatre, with an audience attending the performance. In March 2017, "Over the Rainbow" sung by Judy Garland was entered in the National Recording Registry by the Library of Congress as music that is "culturally, historically, or artistically significant". 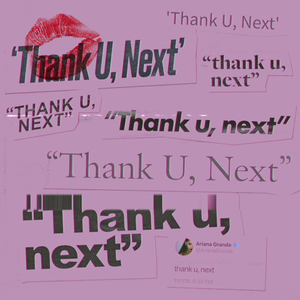 The Recording Industry Association of America (RIAA) and the National Endowment for the Arts (NEA) ranked it number one on their Songs of the Century list. The American Film Institute named it best movie song on the AFI's 100 Years...100 Songs list. "Somewhere Over the Rainbow/What a Wonderful World"
Eva Cassidy recorded a version of the song for The Other Side (1992). After her death in 1996, it was included on the posthumous compilation Songbird (1998) and released as a single in 2001. It debuted at number 88 on the UK Singles Chart in February 2001 and climbed to number 42 in May, becoming Cassidy's first single to chart in the United Kingdom. In Scotland, it reached number 36, giving Cassidy her first top 40 hit in that region. It was her highest-charting song in the United Kingdom until 2007, when "What a Wonderful World" reached number one. The song also reached number 27 in Ireland in December, becoming her only top 40 hit in that country. Cassidy's recording was selected by the BBC for its Songs of the Century album in 1999. Her performance at Blues Alley appeared on the album Simply Eva (2011). (2017) "Somewhere Over The Rainbow"
James Stewart sings the song while carrying a drunken Katharine Hepburn in The Philadelphia Story . Vincent Price sings the song to ironic effect at the very end of his 1972 cult classic fantasy-horror film, Dr. Phibes Rises Again . Mandy (Grey DeLisle-Griffin) sings the song at the talent show in The Grim Adventures of Billy & Mandy season five episode "My Fair Mandy"
The original Garland recording of the song can be featured in the 2009 animated film 9 . Lady Gaga briefly sings it in the 2018 version of A Star Is Born . It is also featured on the standard version of the soundtrack. The Wizard of Oz is a 1939 American musical fantasy film produced by Metro-Goldwyn-Mayer, currently distributed by Warner Bros. Pictures. Widely considered to be one of the greatest films in cinema history, it is the best-known and most commercially successful adaptation of L. Frank Baum's 1900 children's book The Wonderful Wizard of Oz. Directed primarily by Victor Fleming, the film stars Judy Garland as Dorothy Gale alongside Ray Bolger, Jack Haley, Bert Lahr. 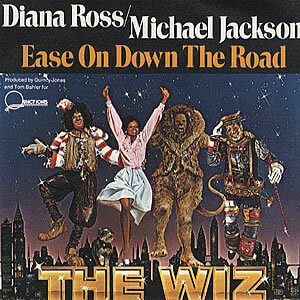 "Ease on Down the Road" is a song from the 1975 Broadway musical The Wiz, an R&B re-interpretation of L. Frank Baum's The Wonderful Wizard of Oz. The Charlie Smalls–composed tune is the show's version of both "Follow the Yellow Brick Road" and "We're Off to See the Wizard" from the 1939 version of The Wizard of Oz. In the song, performed three times during the show, Dorothy and her friends the Scarecrow, the Tin Man, and the Cowardly Lion dance their way down the Yellow Brick Road and give each other words of encouragement. "Ding-Dong! The Witch Is Dead" is the centerpiece of several individual songs in an extended set-piece performed by the Munchkins, Glinda and Dorothy Gale in the classic 1939 film The Wizard of Oz. It was also sung by studio singers and represented as being sung by the Winkie soldiers. It was composed by Harold Arlen, with the lyrics written by E.Y. Harburg. "You Made Me Love You " is a popular song. The music was written by James V. Monaco, the lyrics by Joseph McCarthy and the song was published in 1913. It was introduced by Al Jolson in the Broadway revue The Honeymoon Express (1913) and used in the 1973 revival of the musical Irene. The songs from the 1939 musical fantasy film The Wizard of Oz have taken their place among the most famous and instantly recognizable American songs of all time, and the film's principal song, "Over the Rainbow", is perhaps the most famous song ever written for a film. Music and lyrics were by Harold Arlen and E.Y. 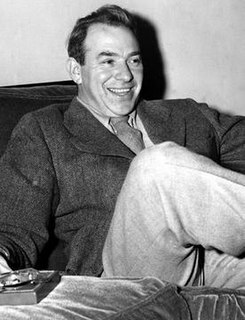 "Yip" Harburg, who won an Academy Award for Best Song for "Over the Rainbow." Judy Garland recorded scores of singles of her hit songs for Decca Records beginning in the mid-1930s. Garland began recording albums for Capitol Records in the 1950s. Her first album reached number 3 on the Billboard 200. Judy at Carnegie Hall charted for 73 weeks on the Billboard chart, was certified gold, and took home five Grammy Awards. Somewhere over the Slaughterhouse is the sixth studio album by Buckethead. To date it is his only solo album to be released as both a CD and LP and is currently out of print. Problems with rights ownership make a reissue unlikely. A download can be obtained at TDRS Music. 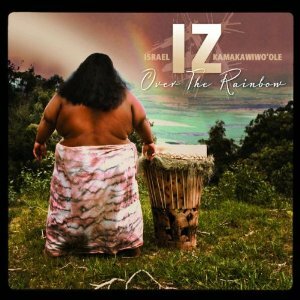 "Somewhere Over the Rainbow/What a Wonderful World" is a medley of the songs "Over the Rainbow" and "What a Wonderful World", by Israel Kamakawiwoʻole and released on his albums Ka ʻAnoʻi and Facing Future. 1 2 Roberts, David (2006). British Hit Singles & Albums (19th ed.). London: Guinness World Records Limited. p. 134. ISBN 1-904994-10-5. 1 2 3 4 5 6 7 8 9 Gioia, Ted (2012). The Jazz Standards: A Guide to the Repertoire. New York City: Oxford University Press. p. 328–330. ISBN 978-0-19-993739-4. ↑ "The Wizard of Oz Soundtracks (MGM label)". The Judy Room. Archived from the original on 2011-09-27. ↑ "The Wizard of Oz (Rhino Movie Music label)". The Judy Room. Archived from the original on 2012-01-26. ↑ Garland, Judy. "The Wizard of Oz (Decca label)". The Judy Room. Archived from the original on 2007-09-26. ↑ Scott Brogan. "Judy Garland MP3's". Thejudyroom.com. Archived from the original on 2012-11-16. Retrieved 2012-11-22. ↑ Over the Rainbow. London: Francis, Day, & Hunter, Ltd.
↑ "National Recording Registry Picks Are 'Over the Rainbow'". Library of Congress. March 29, 2016. Retrieved March 29, 2016. ↑ Shriver, Jerry (June 13, 2014). "Songwriters gala links old and new with a 'Rainbow'". USA Today. ↑ May, Patrick (8 June 2017). "'Over the Rainbow': 10 things to know about classic American song". The Mercury News. Retrieved 15 October 2018. ↑ "NASA Human Spaceflight Database - STS-88 Wakeup Calls". ↑ Billboard, page 65 (February 7, 2004). ↑ "Gold & Platinum Searchable Database - November 22, 2012". RIAA. Retrieved 2012-11-22. ↑ Gary Trust (October 21, 2014). "Ask Billboard: The Weird Connections Between Mary Lambert". Billboard. Retrieved October 22, 2014. 1 2 "Gold-/Platin-Datenbank ('Over the Rainbow')" (in German). Bundesverband Musikindustrie. ↑ "Musik-Jahrescharts: "Sanfter Riese" und der Graf setzen sich durch - media control". Media-control.de. Archived from the original on 2011-01-07. Retrieved 2012-11-22. ↑ ""Poker Face" knackt 500.000er-Download-Marke - media control". Media-control.de. Retrieved 2012-11-22. ↑ "600.000 Verkäufe: Michel Teló legt Download-Rekord hin - media control". Media-control.de. 2012-03-30. Retrieved 2012-11-22. ↑ "musicline.de". Archived from the original on September 21, 2012. Retrieved December 7, 2010. ↑ Steffen Hung. "Die Offizielle Schweizer Hitparade und Music Community". Hitparade.ch. Retrieved 2012-11-22. ↑ Flandez, Raymund (June 9, 2010). "'Glee' Season One Finale, 'Journey:' TV Recap". The Wall Street Journal . Les Hinton . Retrieved December 2, 2010. ↑ "Glee is number 1 Again" (Press release). PR Newswire. May 26, 2010. Retrieved December 2, 2010. ↑ "Top 40 Official UK Singles Archive: 26th June 2010". The Official Charts Company. June 26, 2010. Archived from the original on January 31, 2011. Retrieved December 2, 2010. ↑ "Canadian Hot 100: Week of June 26, 2010 (Biggest Jump)". Billboard . June 26, 2010. Retrieved December 2, 2010. ↑ "Irish Music Charts Archive: Top 50 Singles, Week Ending 17 June 2010". Chart Track. GfK . Retrieved December 2, 2010. ↑ "The ARIA Report: Week Commencing July 12, 2010" (PDF) (1064). Australian Recording Industry Association. July 12, 2010. Retrieved December 2, 2010. ↑ "Hot 100: Week of June 26, 2010 (Biggest Jump)". Billboard . June 26, 2010. Retrieved December 2, 2010. ↑ "Israel Kamakawiwo'ole: The Voice Of Hawaii". 50 Great Voices. NPR. December 6, 2010. Retrieved December 16, 2015. Then I put up some microphones, do a quick sound check, roll tape, and the first thing he does is 'Somewhere Over the Rainbow.' He played and sang, one take, and it was over. ↑ "Eva Cassidy". The Official Charts Company . Retrieved October 20, 2018. ↑ "The Irish Charts – Search Results – Over The Rainbow". Irish Singles Chart. Retrieved December 2, 2018. ↑ "Official Scottish Singles Sales Chart Top 100". Official Charts Company. Retrieved March 21, 2018. ↑ "Official Singles Chart Top 100". Official Charts Company. Retrieved November 17, 2018. ↑ "Official Independent Singles Chart Top 50". Official Charts Company. Retrieved November 17, 2018. 1 2 "Winning Dorothy to release 'Rainbow'" . Retrieved May 21, 2010. ↑ "Danielle Hope ('Over the Rainbow')" . Retrieved May 27, 2010. ↑ "Danielle Hope: Artist Chart History". Official Charts Company. ↑ Reporters, Telegraph (June 7, 2017). "Ariana Grande releases Somewhere Over the Rainbow as charity single for Manchester benefit". The Telegraph. ISSN 0307-1235 . Retrieved April 11, 2018. 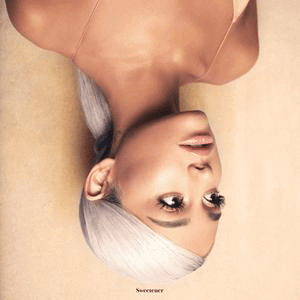 ↑ "Ariana Grande resumes Dangerous Woman tour in Paris and says she's thinking of Manchester terror victims 'every step of the way' in poignant Instagram". The Sun. June 7, 2017. Retrieved April 11, 2018. 1 2 "Somewhere Over the Rainbow (Live from Manchester) - Single by Ariana Grande". iTunes Store (UK). 27 June 2017. Retrieved 6 June 2017. ↑ "UK Charts June 22, 2017". auspOp. April 1, 2017. Retrieved April 10, 2017. ↑ Gill, Andy (9 April 2010). "Album: Jeff Beck, Emotion & Commotion". The Independent . Retrieved April 5, 2018. ↑ "The Billboard Hot 100 Week of 22 December 2012". Billboard . Retrieved December 14, 2012. ↑ Milosheff, Peter (March 24, 2010). "The Demensions, White Doo Wop From The Bronx". The Bronx Times. Archived from the original on December 8, 2010. ↑ Phares, Heather. "Katharine McPhee". AllMusic. Retrieved 13 May 2018. ↑ Pop Archives. Retrieved June 7, 2010. ↑ Savorelli, Antonio (13 April 2010). Beyond Sitcom: New Directions in American Television Comedy. McFarland. pp. 39–. ISBN 978-0-7864-5843-1 . Retrieved July 18, 2017. "The Day I Met Marie" (1967)"
"Till It Feels Like Cheating"